I recently returned with my wife Kim from another trip to India. Why did both of us travel this time? The reason is, I shall soon be starting a 2-year work assignment there, based in Pune. This trip was what my employer, IBM, calls a “look-see”, where you can start to get acquainted with the new location, find a place to live, and so on. The trip was successful, in that we saw a lot of things and – assuming the deal finalizes – found a place to live. Myself and the whole family are excited by the coming adventure, which I’m sure will have low points as well as high, and its own peculiar challenges. I expect I’ll be posting here from time to time on the expat life. So, a few things about the present trip. We arrived on a weekend and spent Sat/Sunday sightseeing. As cities go, Pune is not that big (about 400,000 people) and there isn’t that much to see as far as tourist destinations in the city proper. First place we saw was the Kelkar Museum. 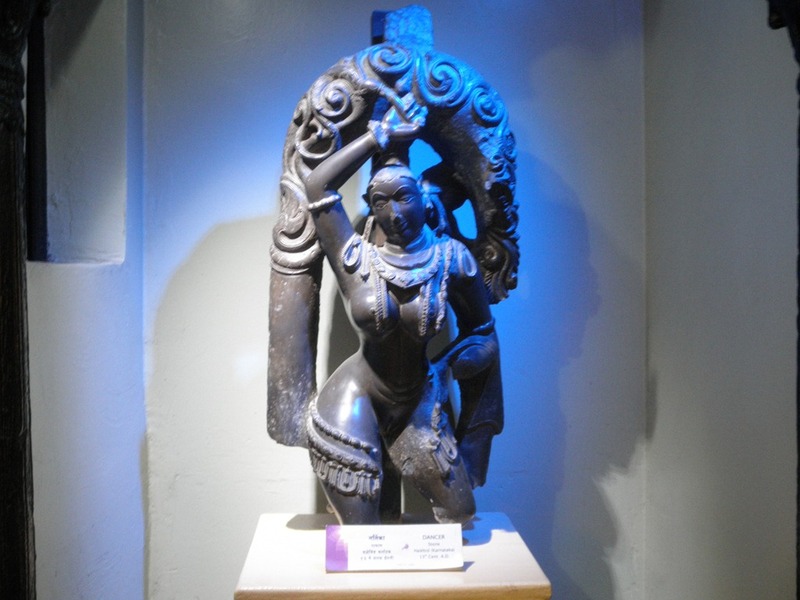 This 5-floor old building houses hundreds of Indian artifacts from past centuries. Here’s a piece of statuary we saw there, dating from the 18th century. Sunday we visited the Aga Khan Palace. We didn’t find it to be all that palatial, but that is not the point: The Palace was the place where Mahatma Gandhi was imprisoned, together with his wife Kasturba Gandhi and his secretary Mahadev Desai, from August 1942 to May 1944. Kasturba and Mahadev both died during this time, so the Palace is a place of great importance to the life of Gandhi and now is one of the national monuments of India. 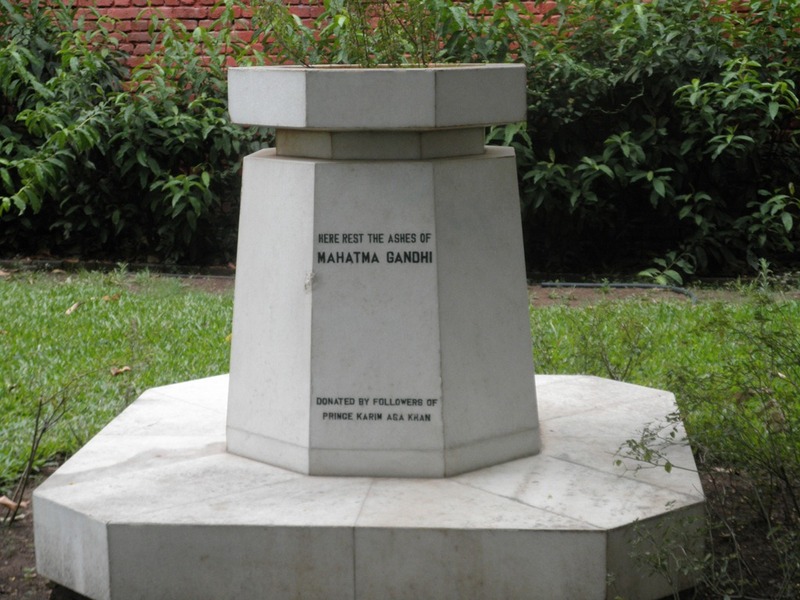 As you see on the left, a stone memorial on the Palace grounds contains Gandhi’s ashes. It was strange to stand there and look at this. The surroundings were humble, not terribly well maintained … but if the memorial were hyper-modern or ostentatious, that would be much more jarring to behold. 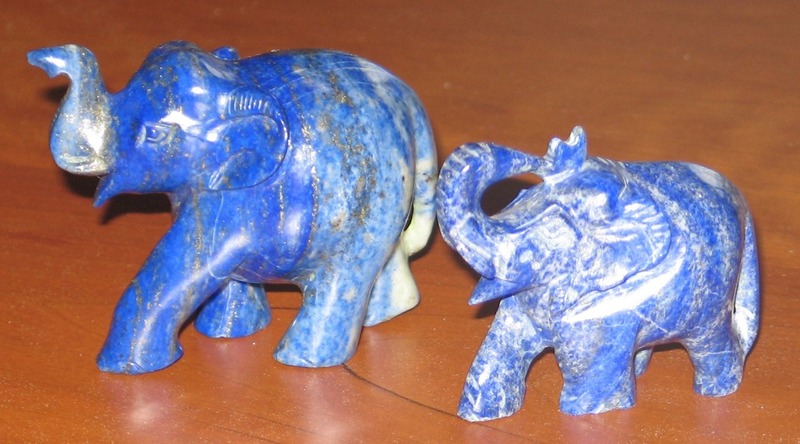 Lastly, we bought some trinkets, including these two lapis lazuli elephants. I expect I overpaid, but it really wasn’t that much – they are lapis, after all. When I’m there on my assignment I’m sure I’ll have ample opportunities for haggling. There will be work, play, new friends, new things – in short, Adventure awaits!